There always seems to be a line here! Tartine Bakery, San Francisco serves up legendary freshly baked bread every Tuesday through Sunday at 430 PM. After the Tartine Manufactory opened in 2016, bread is available all day. 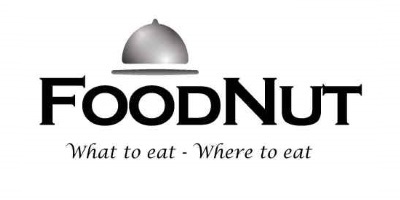 They are also know for their great pastries and sandwiches. You can call ahead 72 hours to place an advanced order. An article from San Francisco Magazine left us drooling and pointed us towards this bakery. Bread is a specialty along with Banana cream pie. There is a line for $7 bread (Half Loaf $5) every day it is baked, him so the best bet is to call them at 415-487-2600 up to 3 days in advance to reserve your loaf. Half loaves are also available. 5% added for employee benefits. 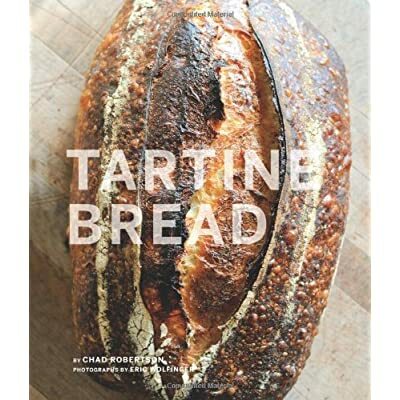 Chad Robertson, co-owner and the husband of Elizabeth Prieitt, is the legendary bakery here, having recently released a book called Tartine Bread. We’ve read some reviews of the book and indicating that it’s pretty hard to replicate this awesome bread using the book’s recipes.The forum thefreshloaf.com is full of people obsessed with baking bread. He bakes roughly 175 loaves of bread a day. The bread is massive, weighing in at almost 3 pounds. This hunk of starch should last you a couple days. Tartine bread is definitely of high-quality with the bottom tilting toward the dark bitter side. The interior of the bread is almost a little bit sticky, soft, and chewy. The bread projects a slippery texture inside the mouth. Crust is very crunchy especially when you receive your warm loaf from the factory. Tartine Bakery’s bread maintains its quality longer than most of the breads. We found that Acme bread is great the first day, but loses most of its zing the next day. In 2013, we found that they also baked sesame as well as pumpernickel bread. The sesame bread had a ton of seeds but retained the rustic bread flavor. We also purchased their baguette and found it was good but not as stellar as their country loaf. Be sure to buy some of their delectable pastries. Croissants here are just okay. See our Best Croissants in San Francisco review. Morning buns ($4.25) are huge and topped with sugar. Coconut Cream Tart (4″ $7.75) – We like it better than the Banana one. Silky and rich. The cookies are solid especially the Mexican Wedding Cookie. ($1.25) Chocolate chip ($2.50) is not worth it. Lemon bars didn’t meet the same level of quality as the other products though. Coconut pudding pie is very sweet. One of our favorite places, Delfina, is down the block and happens to use Tartine Bakery’s bread! What a combo. Visit San Francisco’s Mission District to get a taste of top-notch bread that remind us of the stellar bread in France.